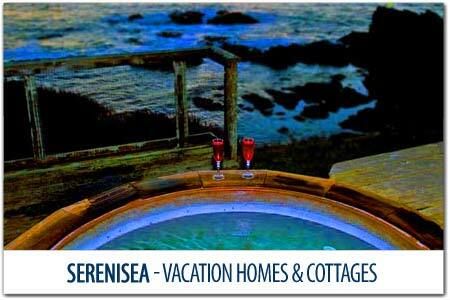 Just a few hours north of San Francisco, you'll discover the magical south coast of Mendocino County. Albion & Elk are found on either side of where Hwy 128 meets the sparkling blue Pacific Ocean. Even residents can't agree on how to pronounce their town's name. Most of the old timers and locals say "Wah-Lah-Lah". Gualala is the Native American word for "water coming down place". This area is appropriately named because of the Gualala River flows majestically into the pacific ocean creating a wide river mouth and sandbar. The beauty and tranquility of this area has long attracted a wide spectrum of visitors and residents. From this cross section of personalities a cultural scene has emerged, rich in high quality theater, music and art. This local talent can be found in the restaurants, art galleries, gardens and other forms of individual expression. 3,000 acres of redwood forests, meadows sweeping to meet dramatic bluffs winding along 10 miles of rugged Northern California Coastline. Relax on a sandy beach, hike the bluff top at sunset, explore tidepools and fields of wildflowers. For the golf enthusiast, The Sea Ranch Golf Links, one of the most challenging 18 championship holes, links style courses west of Scotland awaits you. 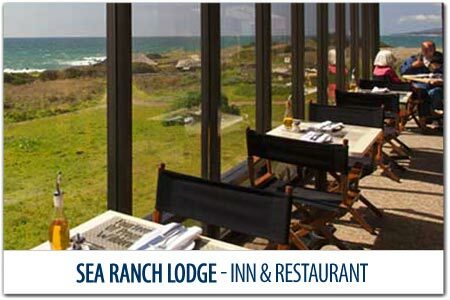 Sea Ranch Lodge offers newly renovated rooms with stunning ocean views, most with fireplaces, acclaimed dining at Black Point Grill and more. 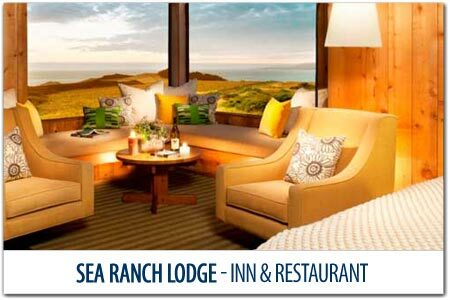 Enjoy natural serenity, unsurpassed.